If we had the magic power to choose the best (in our opinion) 3 albums of the greek rock underground scene and release them on vinyl, one of them would be for sure “Theater people” from the band Babies on fire. 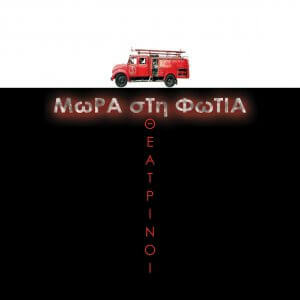 Eventhough their first same titled record which was released back in 1987 it is considered to be as one of the most important records of of the independent music in greece (and sure is), the second album of the band, called “Theater people” is more important. For 2 reasons. First of all, it was something like a bright star on the black sky of the 1999 greek rock scene. Furthermore the songs are simply amazing. 3 of the them includes poems from the poets: Elitis, Karyotakis and Seferis. Many of them were played live from late 80′s. Babies had grown up and showed to the people their strength! Labyrinth of thoughts records, releases the album on vinyl for the first time. -163 on blue vinyl, the rest on black. -It includes a poster with the self-portrait of Stelios “Salvador” Papaioannou, singer,bass player and composer. A co-release with B-otherside records.